I have another crazy January finish. I figured since I finished my last start I should finish my first. There is a kind if symmetry to that. 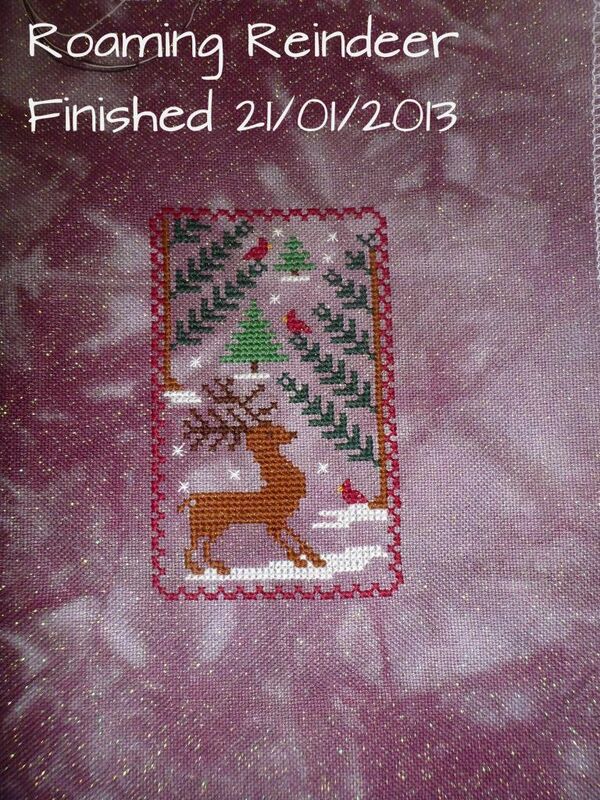 So without further adieu here is my day 1 start 'Roaming Reindeer by blue ribbon designs. I love this piece. The only reason it took me so long to stitch was because I was so distracted by new starts. I should be able to have another finish with the Joan Elliott house but you will have to wait to see. Which reminds me I did start another project. This one is kinda a cross stitch project and kinda not. It's an owl pillow that you buy in a quilting panel. The shop where I bought it from the lady had added a lot of beads and sequins to add something to hers but I didn't want to do just that. So I decided to enhance the pattern with cross stitch! 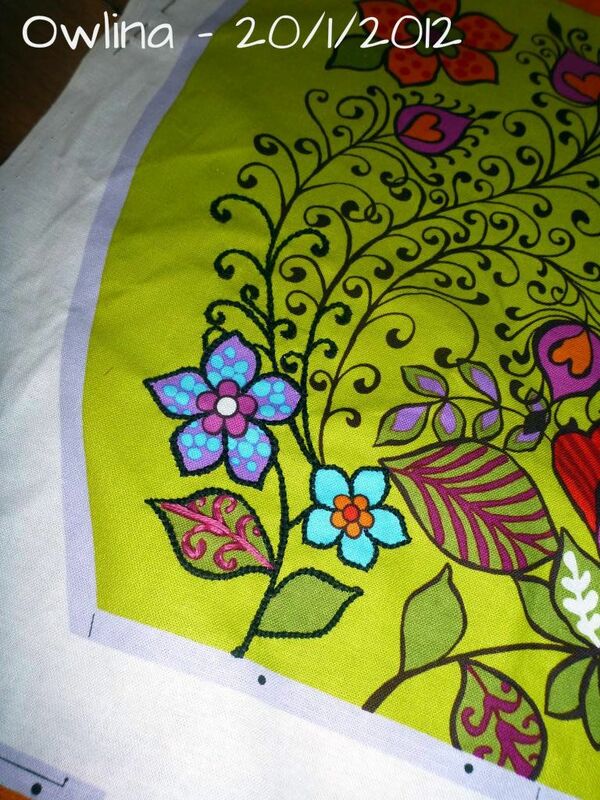 You can see in this close up that I have traced over the brownish outlines with little black crosses. This project will take a while but I love the effect and I like the black better than the brown and it's fun to do at night because I don't have to think just follow the lines. I will be writing a post about this shop soon but if anyone is in Brisbane on the northside I would recommend dropping in to Make It Hobby 'n Craft. Aww super cute finish and a great start,,I love it,. Congrats on the finish Caitlin. Love your new start. Congrats on a great finish! What a cool idea to stitch the black borders on Owlina. She's a cutie! Your Roaming Reindeer is so pretty. The fabric you stitched it on is just amazing. 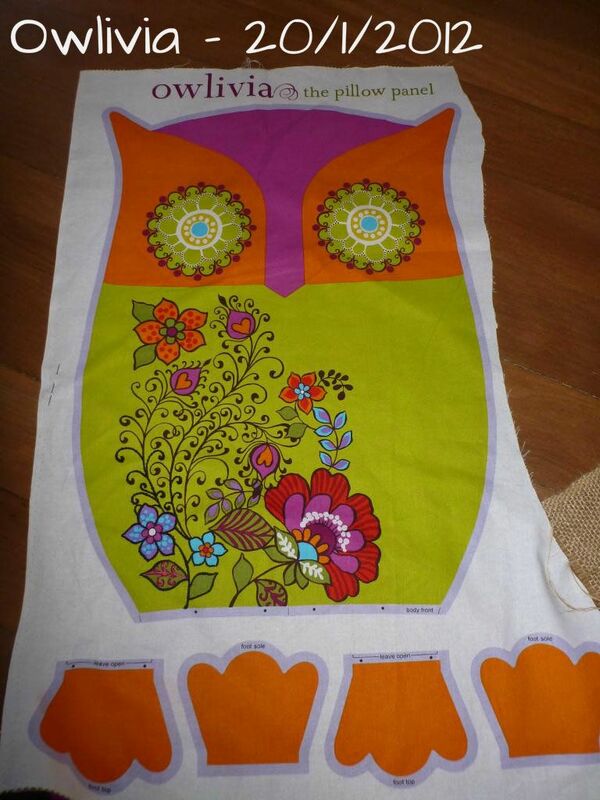 The finish is beautiful I love that fabric and adding cross stitching to the owl is a great idea. Can't wait to see more. Happy Australia Day! Stay Safe!